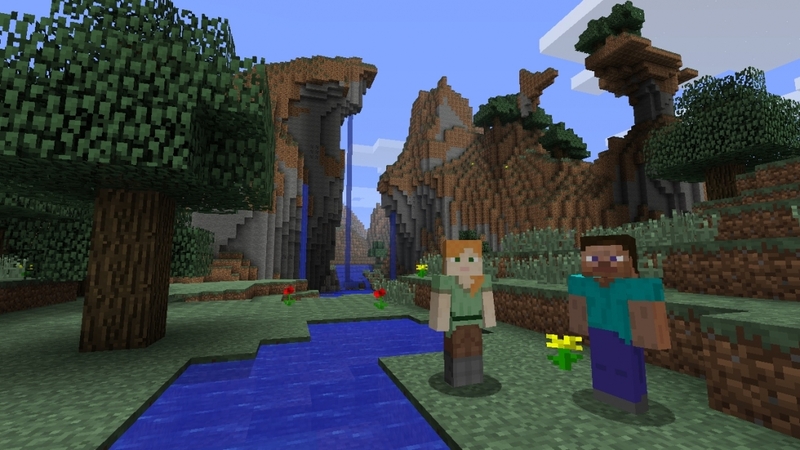 Mojang has revealed that Minecraft is finally coming to Nintendo’s Wii U console. The only real question at this point is, what the heck took so long? Owen Hill from the Swedish game developer made the announcement on Monday, revealing that the game would debut on December 17. It’ll be priced at $29.99 (or the equivalent in local currency) through the Nintendo eShop and will include six of Minecraft’s most popular add-on packs. Hill noted that Mojang would be updating the core game with free updates and adding more content packs in the near future. The Wii U Edition will feature off-TV play, allowing gamers to continue playing Minecraft using the console’s gamepad should others want to use the television for “less fun” tasks like watching movies or playing other games. At this point, Minecraft is available for virtually every platform imaginable including all major consoles and even the Raspberry Pi. The fact that the game hasn’t made it to any Nintendo platform is certainly puzzling but as the numbers indicate, not yet having Nintendo onboard hasn’t prevented the franchise from becoming a global sensation. The game’s creator, Markus “Notch” Persson, sold the franchise to Microsoft for $2.5 billion a little over a year ago. Since that time, Microsoft has been milking Minecraft for everything it’s worth (as they should). Some questioned whether or not the Redmond-based company overpaid for the IP but after seeing Minecraft run on HoloLens, many have changed their tune. As of June 2015, total sales were well over the 70 million copies mark.